Save AED 108 (25.17%) – Earn 31 Shukrans What is Shukran? Shukran is the Landmark Group’s award-winning loyalty programme in the Middle East, which allows you to earn Shukrans when you shop any of our brands. 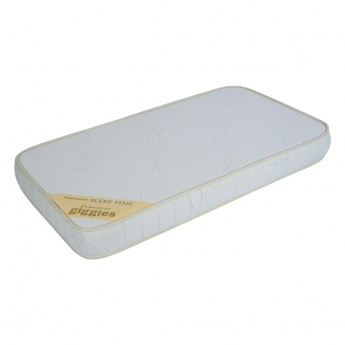 Let lil' ones sleep blissfully on this comfy mattress by Giggles. Featuring high-quality material that's soft to touch, its anti-allergen properties prevent the growth of fungi, mould, bacteria and dust mites.